I was offered this book to review by the publisher, Multnomah Books, a division of Random House. This book is the third in the Dylan Foster series. It follows When the Day of Evil Comes, and Soul Hunter. I prefer to read all books in a series in order, but I wasn’t aware it was until I was a few chapters in. 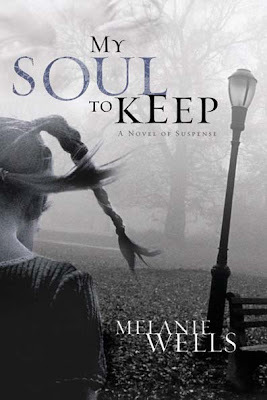 My Soul To Keep is another novel that includes physical manifestations of the spiritual realm, both good and evil, from a Christian perspective. I wasn’t sure I wanted to read this book at first because I can’t stand reading, hearing or seeing stories about crimes committed involving children, but unlike primetime television, it didn’t cross the line of good storytelling by horrifying me. Straightforward. Easy to get into. Style didn’t get in the way of the content. Very nice. It was an enjoyable book, and it’s rating a bit higher than it normally would on its own because I hope to acquire the first two of the series and would plan to re-read it to get the whole story. Unfortunately, like any good fiction book, unless its written in single page chapters, tends to rank low on this scale. I read this during a weekend when I could afford to sit and enjoy. Hey Lundie. A six on the busy mommy scale seems pretty high to me. I don’t know how moms do anything but mom. So, hats off and a big fat thanks for the review and the link love. I’m glad you appreciated the lack of gratuitous violence or … whatever writers do to hook you in and freak you out. I like suspense, not gore. Always, the suffering in my stories is told with respect and most often in hindsight or (in this case) with one degree of separation between you and the person in question (Nicholas). I have two friends whose mothers were murdered. They don’t find such things to be a source of entertainment. I’ve taken that to heart. Peace to you. Thanks again for taking the trouble to post a review. Bloggers rock the world. We writers need you!